Question: I am interested in remodeling my home to better suit my family’s current lifestyle. How much should I consider resale value over our personal preferences? Answer: I often say that the best way to ensure your home is a good investment is to find one that will suit you for a long time. Market appreciation and local development are never guaranteed, but eliminating one or two real estate transactions from your lifetime is a guaranteed way to generate value. This is why many homeowners take on major remodeling projects instead of moving to a new home. Major remodeling projects often cost well into the six-figures so homeowners rightly question resale value. How often do you buy a new pair of shoes or new tech and consider its return on investment? Taking on a major renovation allows you to stay in your neighborhood, extend the time you live in your home, and customize to your lifestyle. Some of these bonuses won’t show up in a financial model, so it’s important to remember that return on investment can be about more than money (like the one year old iPhone you just replaced with a newer iPhone). “Buy well, cry once.” Getting value out of your renovation isn’t just about purchase price and resale potential. Appliances and other systems (HVAC, windows, roofing, etc) vary greatly in maintenance costs, life expectancy, energy usage, and more. Spending more up-front on design consultation and materials often pays off in the long run. If maximizing resale value is more important than personal preference, talk with your Realtor about the appropriate level of finish for your home that will maximize your return on investment. I typically use appliance packages as an example. You can purchase a GE Electric Range from Home Depot for under $1,000 or a custom built La Cornue for $25,000. Clients who choose the La Cornue are making a personal choice and should not expect to recoup much of the cost on resale, save the ultra-luxury market. Similarly, choosing a sub-$1,000 range in a $1M+ home is likely to hurt resale value by more than $1,000. Click HERE to see an example of a recently completely BOWA kitchen that does not follow the “all white everything” trend that has taken over (dare I blame Chip and Joanna Gains?! ), but is absolutely stunning and certain to attract the most discerning buyer…at a premium. 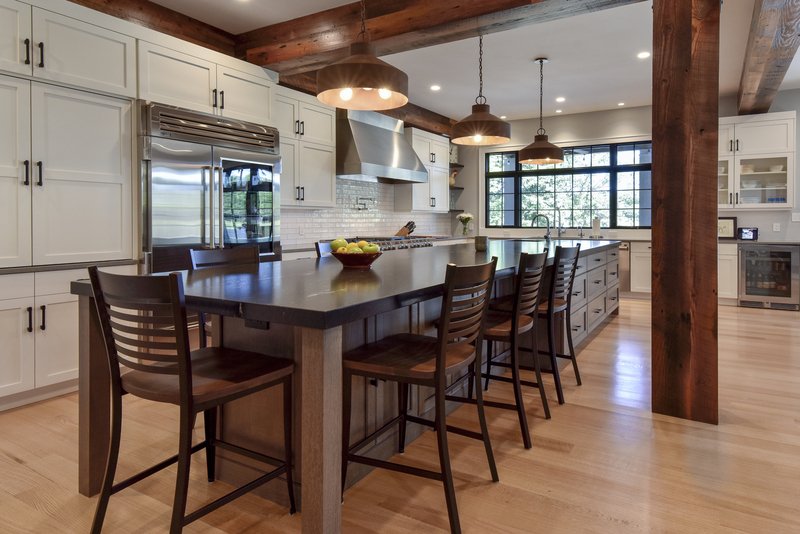 If you and your renovation partner spend the time creating a thoughtful design that is functional and tasteful, there will be other buyers down the road who are equally as passionate about it. Caroline, thank you very much for your insight! I’ll add that your decisions don’t have to be 100% for personal enjoyment or 100% for resale, it can be a blended decision. To help you prioritize, think about how long you’ll live in the home after the renovation. If it’s less than five years, resale should be a higher priority. If you’ll be there for another 12-15+ years, personalize away! Older PostWhy Is My Neighbor Mowing My Lawn?